Hi I have been having a wonderfully liberating time traveling just with a 8" tablet and 8" BT keyboard, it fits in my work trouser pocket and fits nicely on airline little table and I can be unplugged for a couple of days with a Powercore 10000, the 8" tablet size is a good compromise of "just enough" without getting too big. There is a small gap though that sometimes i need to project present at work and currently when I know i'm having to do that I lug my Thinkpad with its HDMI and VGA, or I just connect to a Webex and Wifi share my tablet screen and let someone else with a laptop hook up to the projector. I have searched this forum and I see mention of a "premium" one with comments about it how worked for a long time then didn't work but its not clear if its the same product. So does anyone currently have this currently shipping Anker product and can comment on how well it works? Does it work with all computers like tablets or only specific products? How do I tell? If I bought it and it doesn't work do you think I'd get a refund if I returned it? I am tempted to ask @AnkerOfficial to state it will work so if it doesn't work I avoid the buyer's remorse. I may not be making sense but this was my experience. Hmm, interesting problem. I don't have any experience with that product but here's another idea if that one doesn't pan out - what if you packed a Chromecast instead? You can use LocalCast or AllCast to beam your presentation to the Chromecast and I've read that you can even connect them (your phone and the Chromecast) over wifi direct if there's no wifi network where you're presenting. You can even power the Chromecast with your Anker powerbank (from a port that provides 1A+ current) if you don't have access to a plug. If I bought it and it doesn't work do you think I'd get a refund if I returned it? I think you know Anker's support team as well as anyone here... of course they would issue a refund! That might work. I own a Chromecast to test. 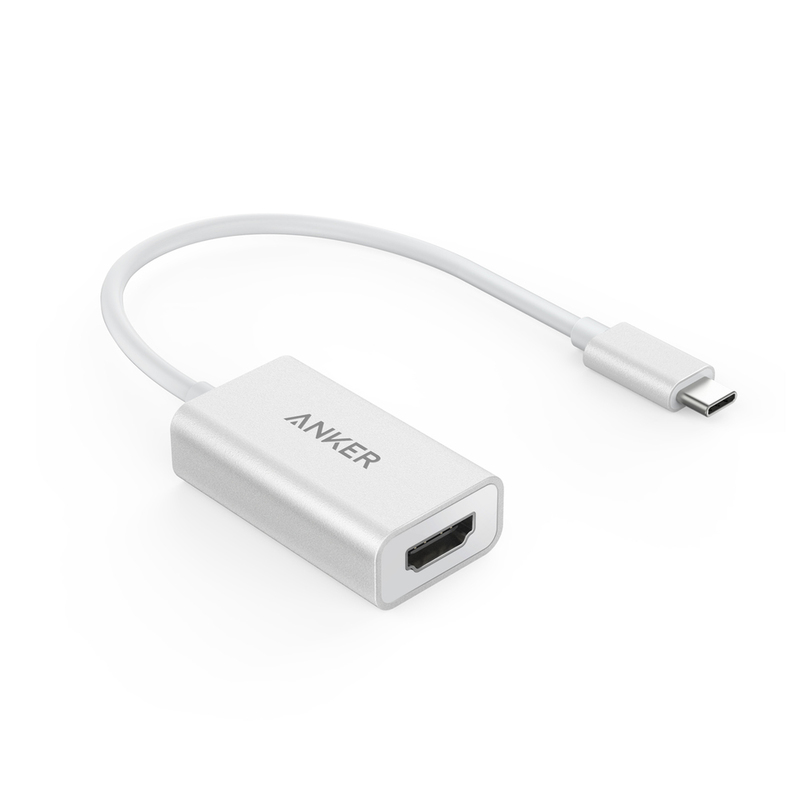 Hi, we believe this Anker USB-C to HDMI Adapter (model A8306041) should be compatible with most of computers with Type-C port. And yes, just in case you will see it will not be compatible with your product, please contact us immediately. Be sure to keep the product package so we can instruct you do a return. FYI I tried it and when I went fullscreen in the Andoid app of Powerpoint the screen went blank. I'll try a few ideas, I often save-as PDF and then project that as its less error-prone and I hate animations. Thanks, makes me feel good trying it. But it still takes hours of time to try things so best to avoid ordering an item til I know a really good probability of working. The idea of a Chromecast has merits, I'll burn cycles on that idea first. Not forgotten, ordered a Chromecast 2nd gen $13 and will play. I'll put the 2nd gen on the TV and use the 1st gen it liberates to test the idea. What you said of use Powercore to power Chromecast makes perfect sense, it fits with minimalist. Walk up to a business presentation with a phone, Chromecast, Powercore only. I could not get it to work, however, but so far, 29 years since I first touched a gadget, I have never found a problem I cannot solve cheaply and simply. Office 365 Powerpoint on a phone, when going into presentation mode on phone to Chromecast just goes grey screen. I will keep trying but need a "play" Chromecast til I find a method which works.